A little boy cut in a hairdresser. he looks at us and smiles. the boy is joyful and happy. he likes to get a haircut. the child sits on a chair in the cabin, it cape. professional hairdressing salon. 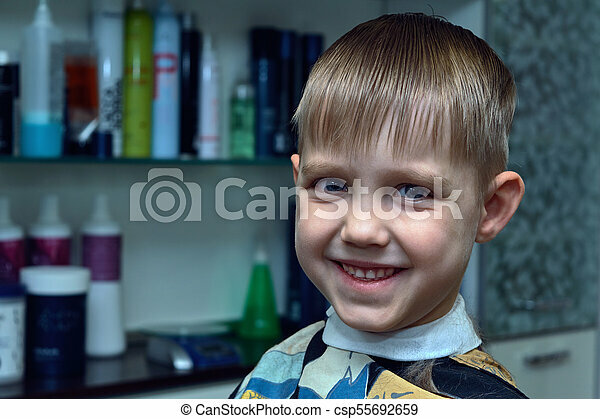 A Little Boy Cut In A Hairdresser. He Looks At Us And Smiles. 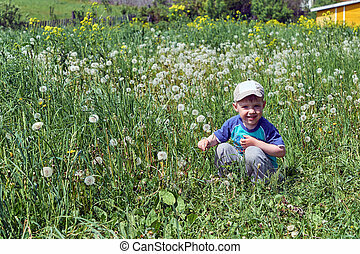 A small a boy sits in the grass, looks at us and smiles. There are a lot of blooming white dandelions around. Bright sunny day. Rest in the village for health. Spring or summer. Warm weather. A small a boy winter sunlight a day to looks at us and smiles. On the street white snow. A boy a satisfied, joyous and happy. 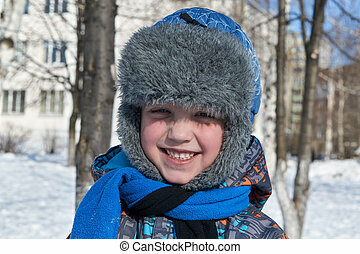 The child is dressed in a winter hat with fur, jacket and blue scarf. 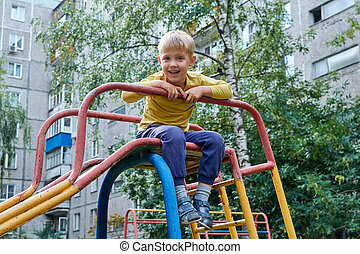 A little boy is hanging on the bar, looking at us and smiling. Exercise in the fresh air. Useful education for health. 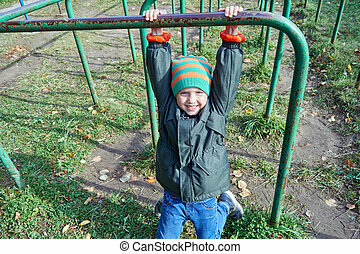 Development of physical strength, dexterity, endurance. The boy is sitting on a children's slide and looks at us joyfully. Useful rest on the Playground. Outside in the fresh air. Physical activity for health. The hill is iron and painted with paint. 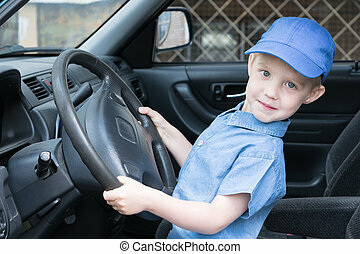 Fun, happy, boy is behind the wheel of the car and looking at us. Smart, confident boy sitting in the car. He's wearing a cap and shirt. To drive the car.